Haha well the picture is not that clear so we can't tell for sure. But if you look at the paler outline (compared to the darker background) that looks like arms that extends upwards, that naturally brings the phone a bit higher than chest area, and more likely near the face. This is also apparent from the difference in color tones of the supposed-phone and the brighter supposed-facemask. Ditto. Feels like a scene right out of CSI. Sorry, I don't know how to insert an image directly into the post. You'll have to upload the picture to a image hosting site (I usually use imgur(. )com), get the direct link (ending in png or bmp...), go to "insert other media" at the bottom of your post editor, choose "insert image from url" and paste the link. That should do it. It's the same with gifs, but the link must end with gif. Thanks @missirina. Re-examining the image again. The 'white face mask' could also be the reflected illumination from the phone's light. Haha. I am so failing in my CSI role. Wish I had better tech skills! What do our other 503 chingus think? White mask. Or reflected illumination from phone? Inside joke among us hahhahaha..
Haha. It's the first eye reflection case for this team anyway, of course there will be a learning curve lol. ps: Sorry for having the blown up images greeting you so early in the morning haha. 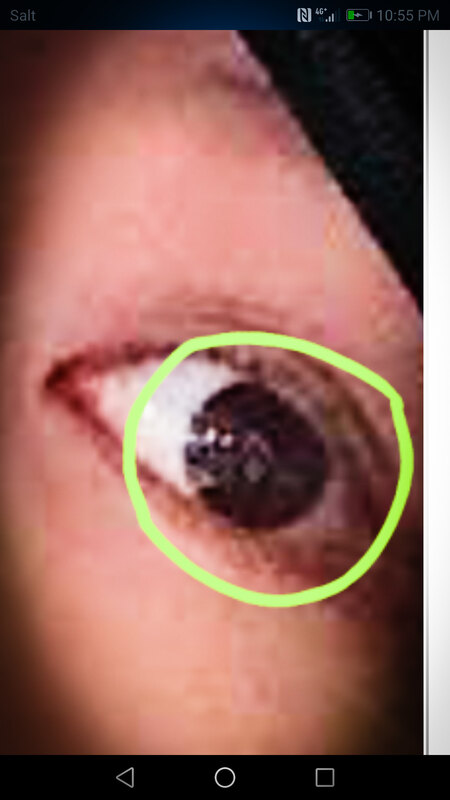 That zoomed image in her eyes ... i am sure its a man. Should I come with some details about his position? Is this the one ☝️☝️☝️ when BIL was in Vietnam and always checking his phone and my coolest partner IG asking Did you call me? Ahh seeing all this is so funny yet I would feel so mortified if unnie knew. It would be like "No ! Unnie we promise we aren't stalkers or creepy people, we just really love you and your charming friend together !" She would be so shocked and maybe even creeped out knowing we're doing this. That being said, OYS' eyes are the prettiest and most expressive eyes I've ever seen. My favorite parts of people are their eyes and their smiles. OYS has both dimples with her smile and her eyes are so clear and expressive ! She's seriously so beautiful. I prefer looking to beauty in brown eyes as opposed to blue or green. They look more normal imo, maybe since in my region brown eyes are the most common. Brown eyes are also very underrated too but OYS is one of those people who make you feel happy to be one of those brown eyed people because hers are simply so unique and beautiful even if they aren't much different in color. If anyone has photoshop they should try to remove the noise from the image. Zoom it on to just the image in the eye and crop it. Reduce the noise/grain and hopefully we'll have an even more clear image then. I would do it myself but I don't have Photoshop or any other hi tech photo editor nor do I know how to use them. I have photoshop, but I’m not home right now. 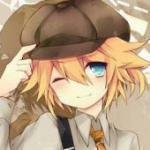 When I return I can try doing that or someone else who has time could do it. So one of our silent shippers @elabanana messaged me today and turns out, its not just unnie's eye reflections we have to analyze but her glasses too ! She asked me to post this so we can analyze this too. This is OYS' insta update from May 31st, the day of LSG's FM. In the second picture in this set, her glasses show a reflection which may be LSG. I am not sure if its a reflection off the magazine's inside or of the person taking the picture but the angle suggests its of the person taking the picture. The person in the reflection is wearing white, which LSG was wearing during his FM. Now the question is, was this taken backstage to the FM or before/after it ? Even if not, is the person reflected LSG or not ? I wish I could enlarge the whole image before posting but I worry it's gonna ruin the image itself. It's up for debate then. What do you all think. Another hint/clue ? I think running some anti-noise/grain photoshop might help on this too but if anyone has other tricks up their sleeve to analyze this and the eye picture then please do give it a go. If this is a clue then it means OYS told us she was in Japan with LSG when she was in Japan with LSG all along but we didn't realize until now because we thought it was just her doing some advertising. Thank you @elabanana for noticing and sharing with us this vital clue. Well you see we can't ALL be wrong now can we ? It must only mean we are right because I see exactly what you see too. I wish I could enlarge the whole image before posting but I worry it's gonna ruin the image itself. It's up for debate then. What do you all think. Another hint/clue ? 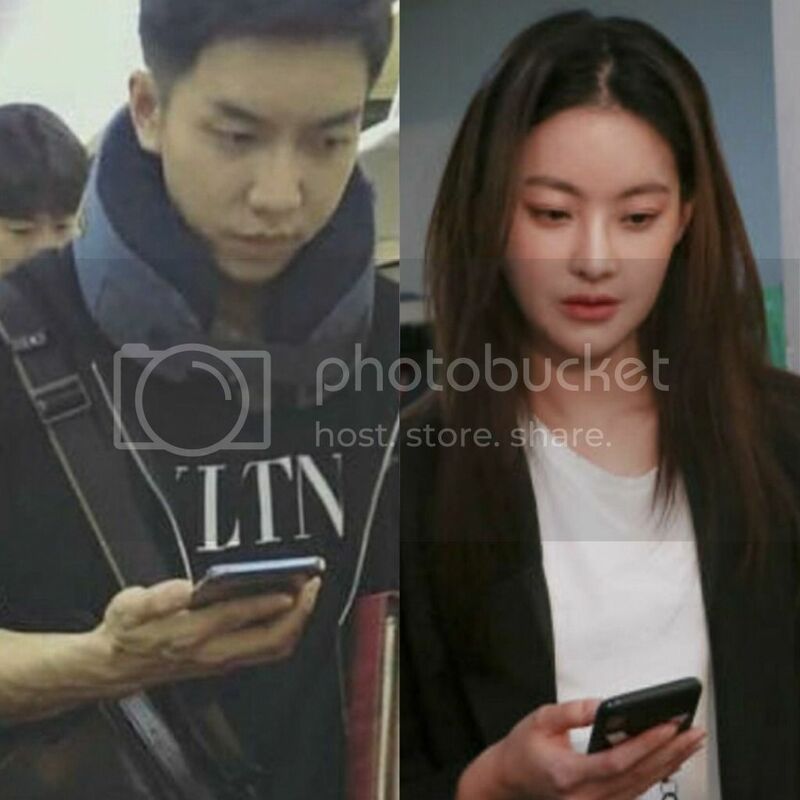 If it is then it means OYS told us she was in Japan with LSG when she was in Japan with LSG all along but we didn't realize until now. Thank you @elabanana for noticing and sharing with us this vital clue. Hmm, I don't know about this one. Actually I think it's just the reflection from the picture in the magazine. When studying reflections, the angle of the mirror (in this case, OYS's glasses) is as important as where the photographer is. In that photo, OYS is sitting down and gazing downwards. So unless the photographer is at a right angle (90 degrees) against the glasses or directly in front and probably crouching down, it's doubtful he/she will appear as a reflection on the glasses. Tried to find a more suitable one to no avail haha. So in this instance, the photographer can see the screen of the computer the subject is looking at despite being in front of him. This is because of the angle of the glasses. But that's my two cents, feel free to discuss further. I'm enjoying the various clues we are discussing tbh.